Antidepressant medications are frequently prescribed to help in managing the symptoms of panic disorder. Pristiq, the brand name for desvenlafaxine, is one type of antidepressant medication used in the treatment of panic disorder. Pristiq belongs to a class of antidepressants called serotonin and norepinephrine reuptake inhibitors (SNRIs). Other common SNRIs include Effexor (venlafaxine) and Cymbalta (duloxetine). These medications were first used to treat mood disorders, such as depression and bipolar disorder. SNRIs were later found to be an effective treatment for a variety of mental health conditions. Currently, SNRIs are also used to treat panic disorder, agoraphobia, obsessive-compulsive disorder (OCD), and social anxiety disorder (SAD). They've also been found to be beneficial in treating pain associated with medical conditions like fibromyalgia and chronic fatigue syndrome (CFS). Naturally occurring chemicals in the brain, known as neurotransmitters, are responsible for various bodily functions. These chemical messengers are believed to be imbalanced for those with mental health conditions. Antidepressants work to restabilize certain neurotransmitters. Pristiq specifically impacts the neurotransmitters serotonin and norepinephrine, both of which are thought to be unstable for panic disorder sufferers. Serotonin influences your mood and sleep regulation. Norepinephrine is connected to the fight-or-flight response, which is the way you react to stress and anxiety. Pristiq can help bring equilibrium to these two neurotransmitters, leading to reduced anxiety, less severe panic attacks, and enhanced mood. You may experience some, all, or none of these side effects. Typically, they diminish or become more manageable over time. When taking Pristiq, consult your doctor if your side effects persist or worsen. You probably won't notice immediate improvements when taking Pristiq for the symptoms of panic disorder. Though you may notice changes within a few days to a few weeks when you're first on Pristiq, the majority of people won't see any difference until after several months of following the recommended prescription plan. Black box warning: In 2007, Pristiq and other antidepressants were given what's called a “black box warning.” This label was prompted by the U.S. Food and Drug Administration after it was determined that these medications could potentially increase the user’s risk of suicidal thoughts and behaviors. Adolescents and young adults can be especially impacted by this possible side effect. Any young person taking Pristiq must be closely monitored for mood alterations and suicidal thoughts. Alcohol consumption: Drinking alcohol is not recommended while taking Pristiq as doing so may increase the toxicity of this medication. This can lead to ineffectiveness. Pregnancy/nursing: It's possible to pass Pristiq to a child during pregnancy or while nursing. If you're pregnant or nursing, consult your doctor about the possible risks of taking Pristiq. Older adults: The side effects of Pristiq can be more intense for older adults. Monitoring and dosage changes can be made to reduce side effects in older adults. The information provided here is meant to be an overview of using Pristiq for panic disorder. It doesn't cover all possible scenarios, such as overdose symptoms, precautions, and contraindications. Always consult your medical provider or pharmacist about any questions or concerns you may have about your Pristiq prescription. Dell'Osso B, Buoli M, Baldwin DS, Altamura A. Serotonin Norepinephrine Reuptake Inhibitors (SNRIs) in Anxiety Disorders: a Comprehensive Review of Their Clinical Efficacy. Human Psychopharmacology: Clinical and Experimental. January 2010;25(1):17-29. doi: 10.1002/hup.1074. MedlinePlus. Desvenlafaxine. U.S. National Library of Medicine. The American Society of Health-System Pharmacists, Inc. Updated September 15, 2016. Silverman HM. The Pill Book. 15th ed. New York, NY: Bantam Books; 2012. 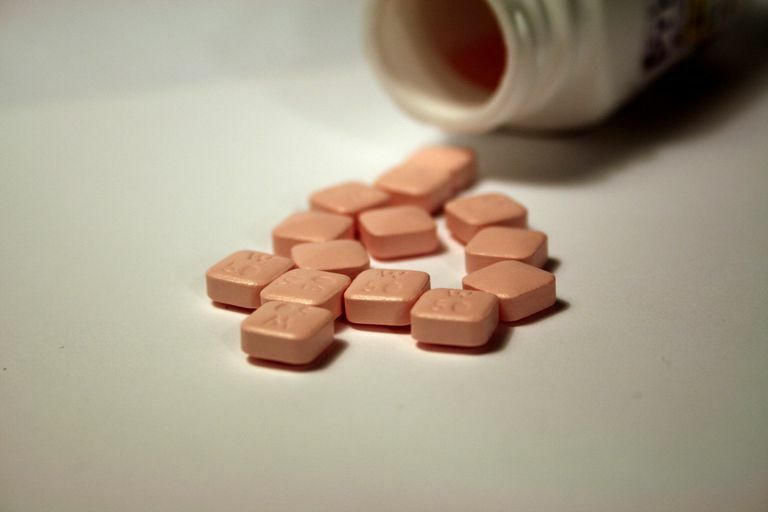 Should You Take Valium (Diazepam) to Treat Panic Disorder? Should You Take Xanax for Your Panic Disorder?